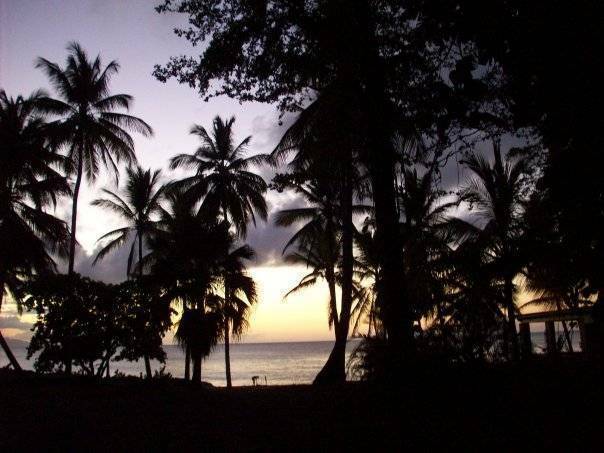 The Coco Hotel is a quiet, safe, Canadian family owned & operated tropical refuge. 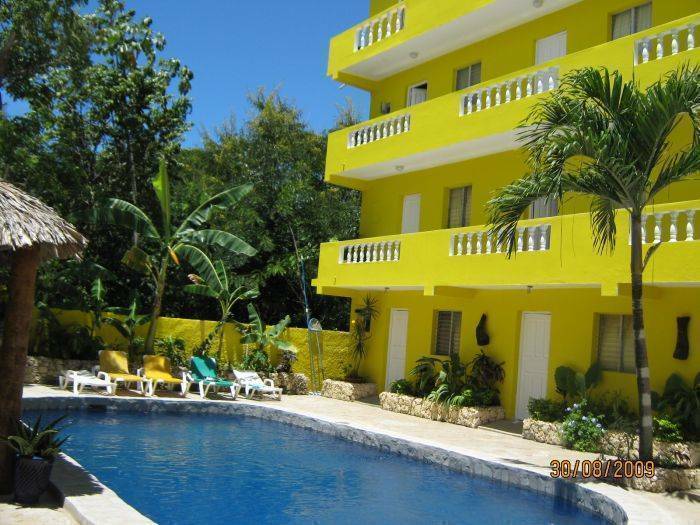 Nestled in the El Batey neighbourhood of the bustling party community of Sosua only 15 minutes from the Puerto Plata airport (POP). This quiet Sosua suburb is a 10 minute walk from the public beach, casino, discos and the downtown core. The hotel offers a private beach, shopping, a variety of ethnic restaurants and local arts & crafts at its doorstep. 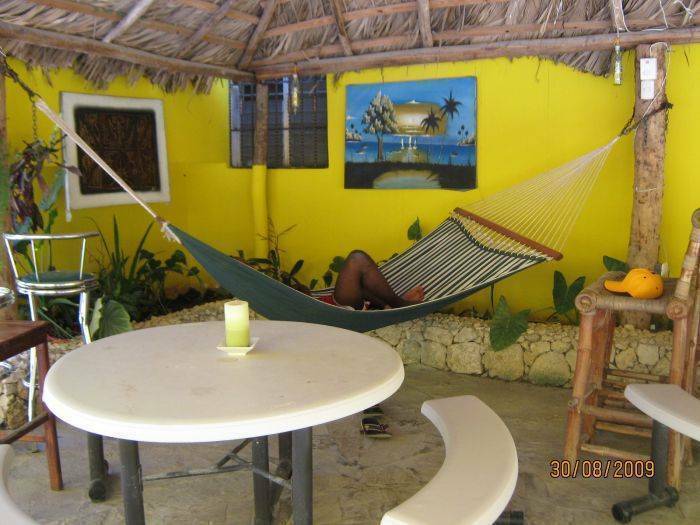 The Coco Hotel lies in the heart of the Dominican culture and the local fruits, vegetables, fishes etc. are delivered to the hotel daily by local entrepreneurs. Casinos, discos and other night life activities are all within walking distance. Tennis courts nearby and Spanish lessons on site. All rooms are equipped with ceiling fans, wall safes, private ensuites, Cable TV (200 stations) and WI-FI internet service (free of charge). Two small furnished apartments & rooms with air conditioning available as well. Large swimming pool, cana covered quiet area, 24 hr bar/security, back yard gardens and more. A generator and solar hot water heating are all available to ensure your stay is comfortable and not interrupted by local power problems. Parking is available free of charge. Fridges, hot plates and microwaves available at an additional charge. Large Pool with deck chairs surrounded by gardens. 24 hr Bar with security on duty. Totally gated area. Free parking. Cana roof covered area close to pool with chairs and tables for quiet relaxing, reading, playing games or eating. Green area at back of hotel contains numerous local fruit and vegetable plants. 24 hr. bar and security 24-hr front desk BBQ area Bar/lounge Children permitted Currency exchange Elevator/lift not available Gardens Gay friendly Handicap access Hot water - Cable TV & WI-FI - Swimming Pool & Private Beach - 24 hr Bar/Security Internet access Internet wireless (free) Linen included Multi-lingual staff No curfew Open 24 Hours Parking (free) Pets allowed Pool (outdoor) Safe deposit box Smoking permitted WI-FI WIFI (free) Wireless internet cable TV generator hot water hot water 2. All rooms have ceiling fans, cable TV(200 stations), wall safes, 3 piece ensuite, and free WI-FI. Rooms are located on 3 different floors with the first floor units located right outside the swimming pool and wheel chair accessable. 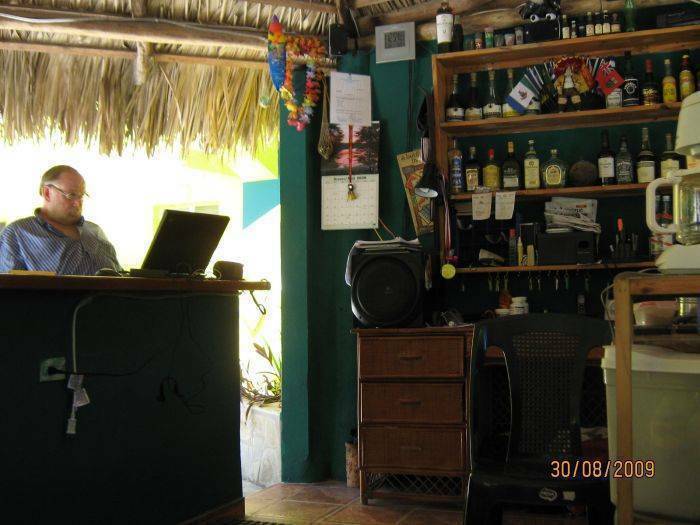 The hotel is located in the quaint and quiet neighbourhood of El Batey just a 10 minute walk to downtown Sosua. The Dominican culture along with the lush tropical forest surround you. Fresh fruits, vegetables, fish, cheese, and other goods can be purchased directly from the local entrepreneurs. Baseball field, beaches, tennis courts, etc. are all within 5 minute walking distance. Water slides; go-carts; beach volleyball; surfing; catamaran trips; etc..
Full payment is required on arrival at front desk. Additional monies will be applied for late payments. No deposit is requested but rooms will not be held after 4pm without special request. 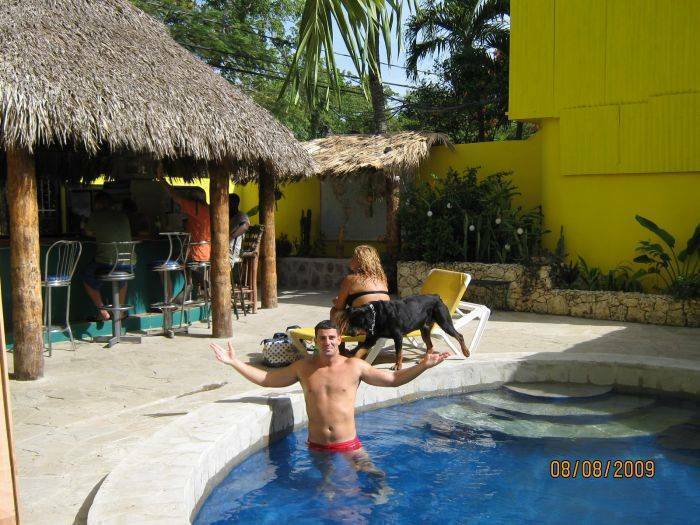 The Coco Hotel/Hostel is located in the Dominican city of Sosua in the township of El Batey. 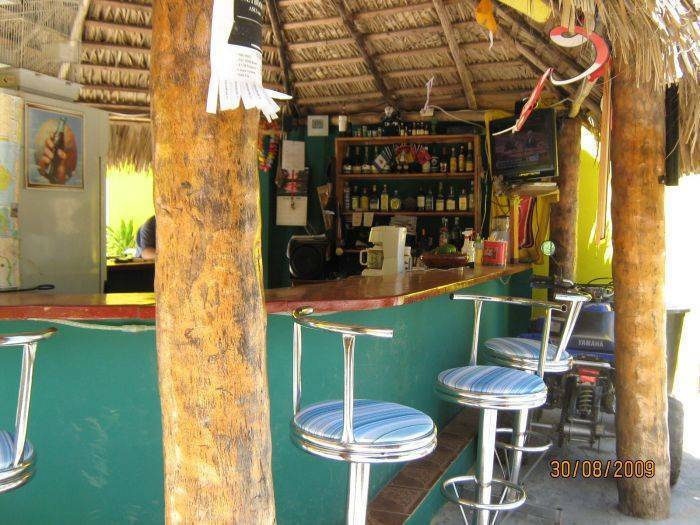 This is a 15 minute drive from the Puerto Plata airport(POP). 1 km east of the town centre along Alejo Martinez Drive just past the Casa Marina Resort. Taxi, bus, all vehicle rentals, and horse & buggy all are within close walking distance. Motoconcho stand with dependable drivers is next to hotel bar. A Hotel Vehicle also available.